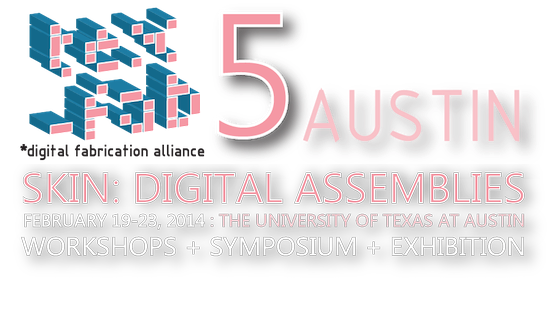 TEX-FAB extends its reach to Austin, this year adding the University of Texas School of Architecture as a member organization. In doing so, the UT SOA is supporting the largest and most complete event to date with Michel Rojkind as our Keynote lecture with 6 speakers and 4 moderators. Moderators will delve into techniques to highlight the differences between working methods, while within the workshops, session leaders will further develop those topics as functional methods for the production of design solutions. As an intensely focused symposium which expands the workshop offerings from Grasshopper, Revit to Processing and newer productive methods, the scope and range is truly substantial. 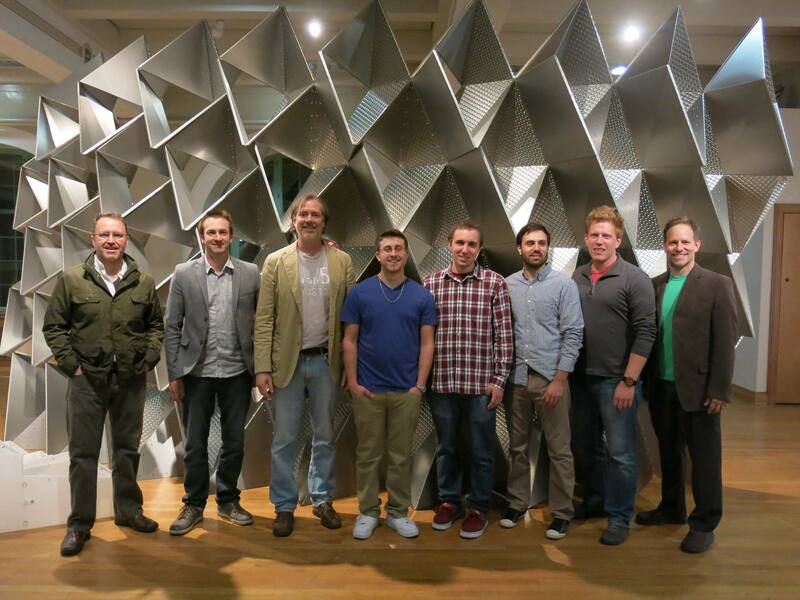 In addition the UT SOA will concurrently exhibit the SKIN competition fabricated winner and entries. 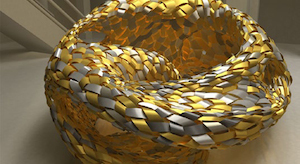 SKIN is generously supported by Rigidized Metals as a material sponsor and the A. Zahner Co. in both material sponsorship and project fabrication of 3xLP designed by Christopher Romano and Nick Bruscia. 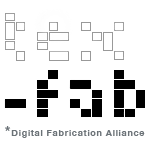 This year TEX-FAB has elicited more of the world's leading experts in Digital Fabrication to discuss and teach in a four day symposium at the University of Texas at Austin School of Architecture. Our expansion and reach is far beyond our previous efforts and shows a greater breadth of investigation and outreach. Michel Rojkind was born in Mexico City, where he studied Architecture and Urban Planning at the Universidad Iberoamericana (1989-1994). In 2002 he founded rojkind arquitectos to explore new challenges addressing contemporary society — to design compelling experiences that go beyond mere functionality and to connect the intricacies of each project at a deeper level. He has been short-listed to participate in several large-scale international projects, in Mexico, Canada, Kuwait, China, Dubai, Singapore and Spain. 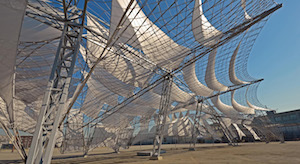 He has been a visiting professor at the Southern California Institute of Architecture (SCI-Arc) in L.A. and at the Institute for Advanced Architecture of Catalonia (IACC) in Barcelona. Rojkind has participated as juror for several international awards and competitions and has lectured in many different countries. His recent lectures at international conferences have also brought the firm notoriety: Architectural Record magazine’s “Innovation”, 2011; TEDx, 2010; and 3rd Holcim Forum for Sustainable Construction, 2010. Perhaps two of the most meaningful commendations Rojkind has received are from his native country. In 2010, Rojkind was named as one of the “Country’s Treasured Architects” by the Mexican Civil Registry and was featured by ProMexico Magazine as one of the “50 Mexican Names in the Global Creative Scene”. 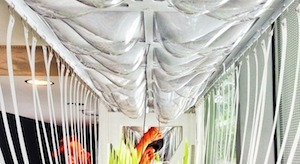 Alvin Huang is the Founder and Design Principal of Synthesis Design + Architecture. He is an award-winning architect, designer, and educator specializing in the integrated application of material performance, emergent design technologies and digital fabrication in contemporary architectural practice. His wide ranging international experience includes significant projects of all scales ranging from hi-rise towers and mixed-use developments to bespoke furnishings. Alvin received a Master of Architecture and Urbanism from the Architectural Association Design Research Laboratory (2004) in London and a Bachelor of Architecture from the University of Southern California (1998) in Los Angeles. 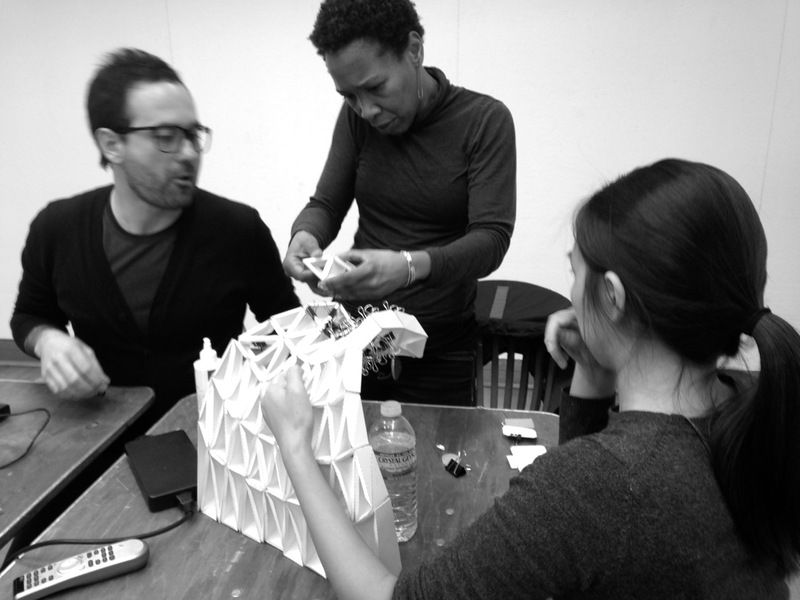 Alvin is currently a Tenure-track Professor at the USC School of Architecture in Los Angeles. He has also taught design studios and master classes at the Architectural Association (London), Tongji University (Shanghai), Tsinghua University (Beijing), University of Lund (Sweden) and Chelsea College of Art (London). Ammar Eloueini (French-American born in Lebanon) is a registered architect who established AEDS (Ammar Eloueini Digit-all Studio) in Paris in 1997. Since 1999 the office has operated with locations in Europe and the United States. AEDS has completed projects from object design such as urban furniture for the city of New Orleans, to six retail spaces in Europe for Japanese fashion designer Issey Miyake, the office has developed an expertise in solving a wide range of design problems, while serving a wide range of clients including the Norwegian Ministry of Petroleum, the Contemporary Art Museum in Chicago and choreographer John Jasperse in New York. 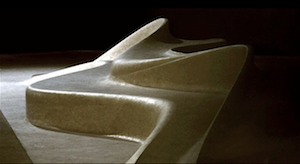 AEDS's work has been recognized with the New York Architectural League’s Emerging Voices (2007), nine AIA Design Excellence awards and the French Ministry of Culture Nouveaux Albums des Jeunes Architectes (2002) and is part of five permanent collections: The Museum of Modern Art (MoMA) in New York, the Centre Pompidou in Paris, the Canadian Centre for Architecture (CCA) in Montreal, Disseny Hub Barcelona (DHUB) and The Ogden Museum of Southern Art in New Orleans. Andrew Kudless is a designer based in San Francisco where he is an Associate Professor of Architecture at the California College of the Arts. 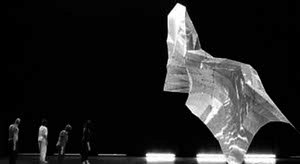 In 2004, he founded Matsys, a design studio exploring the emergent relationships between architecture, engineering, biology, and computation. Andrew has taught at the Architectural Association, Yale University and The Ohio State University where he was the Howard E. LeFevre Fellow for Emerging Practitioners. He has a Master of Arts in Emergent Technologies and Design from the Architectural Association and a Master of Architecture from Tulane University. Andrew’s work has received several honors including a FEIDAD Design Merit Award and a Fulbright Fellowship. The work of Matsys has been exhibited internationally and is in the permanent collections of the San Francisco Museum of Modern Art, the Centre Pompidou in Paris, and the FRAC Centre in Orleans, France. Christian R Pongratz is the Director and Founder of the Digital Design and FabricationProgram, M.S. 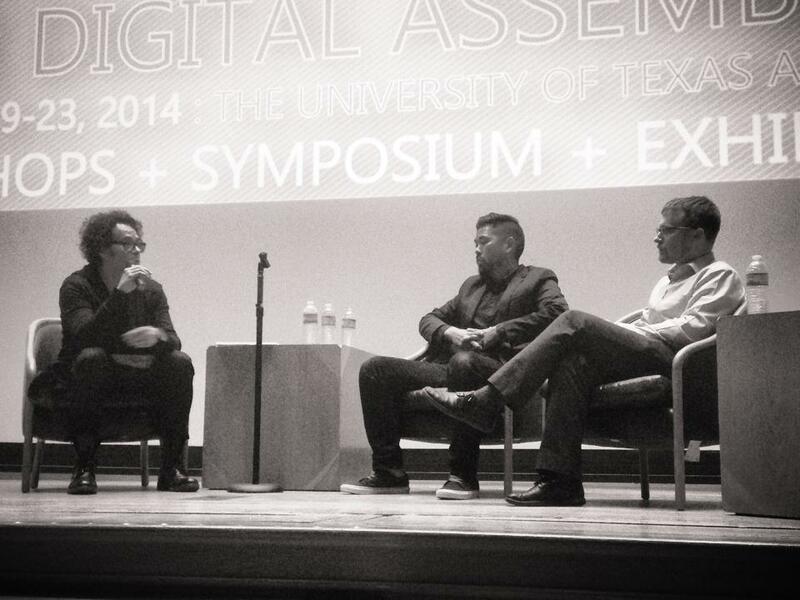 Specialization, and Professor in the College of Architecture at Texas Tech University. With Maria Perbellini, he co-founded, Pongratz Perbellini Architects investigating computation and material based processes and Cyberstone LLC, an architectural design practice, currently working on several residential projects. PPA’s numerous awards and honors including: selezione Compasso d’oro XXI, with inclusion into the historical design collection and the cultural patrimony of Italy, Silver Prize in interior design and Honorable Mention in Urban & Landscape Design of the Biennal Miami, 1st Prize international Estetica Design Award, Honorable Mention for Gwangbok Street & PIFF Plaza in Busan, Korea. Christian Pongratz was selected as Texas Tech Integrated Scholar by the Provost in 2012, received the Global Vision Award 2012, the Outstanding Researcher Award in 2011, and was nominated for the Barney E. Rushing, Jr. Faculty Distinguished Research Award in 2010 and 2013. Danelle Briscoe is an architectural designer who studied at Yale University and the University of Texas at Austin. Her ten years of work experience includes being a designer at Gehry Partners, LLP, Marmol+ Radziner LLP and Centerbrook Architects. She has exhibited work in Axis Gallery, Tokyo, 2004 ICFF in New York, the MAK Center in Los Angeles and most recently at Objectspace in Auckland. 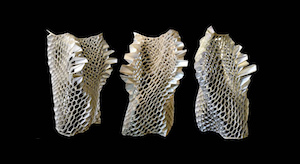 She now lives in Austin, Texas and works as an independent practitioner and holds a position of Assistant Professor at the University of Texas at Austin, where she is primarily engaged in material and digital fabrication research. Gabriel Esquivel was born and educated as an architect in Mexico City with a degree from the National University and received his Master’s Degree in Architecture from The Ohio State University. 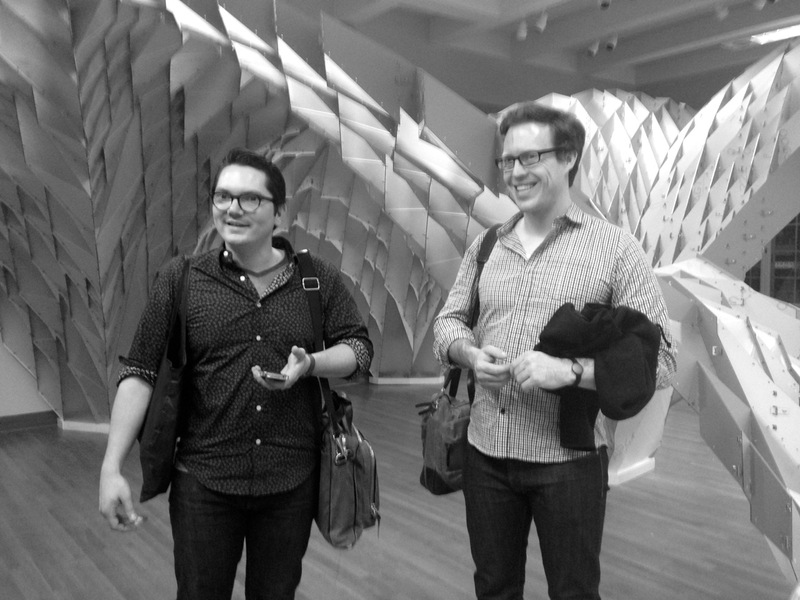 Gabriel Esquivel teaches architecture at the College of Architecture at Texas A&M University. He previously taught Architecture and Design at the Ohio State University. He is an associate professor at The Tecnológico of Monterrey in Mexico City. His earlier professional experience comes from working in large corporate offices like NBBJ and completing projects in New York, Los Angeles, Santiago, Istanbul, Taipei, Beijing, Mexico City and Buenos Aires. 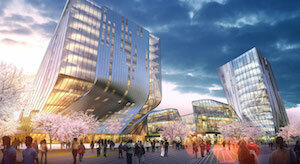 The projects include healthcare, commercial, retail and residential developments. Gabriel is promoter of new ideas in architecture, he has produced and organized conferences in Mexico City like Azul Rey, Elegantech, Ab Intra and Blurring Limits. The participants included important names like Hernan Diaz Alonso, Francois Roche, Mark Gage, Benjamin Ball, Brennan Buck, Andrew Kudless, Tom Wiscombe and Jason Payne among others. 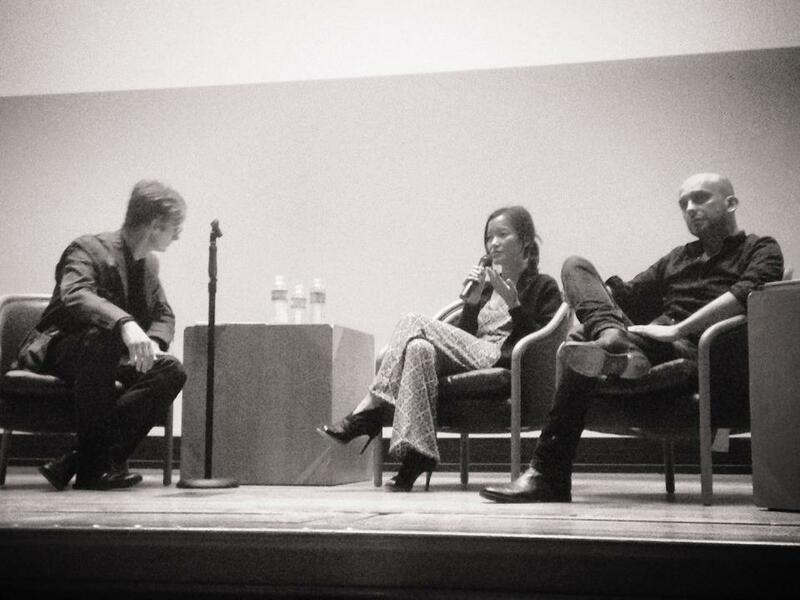 Jenny Wu is a partner at the Los Angeles based practice, Oyler Wu Collaborative, which she started in 2004 with Dwayne Oyler. The office has been published globally and is recognized for its experimentation in design and fabrication. Their work straddles between two scales, small scale design build installations and large scale building projects in Asia and US. Their recent projects include “The Cube,” the competition winning entry pavilion for the Beijing Biennale, “Stormcloud,” a temporary pavilion for the 40th anniversary of Sci-Arc, “Screenplay”, the featured architectural installation at Dwell on Design 2012 made with 45,000 feet of rope, and a 16-story residential tower in Taipei, Taiwan. She is currently a design faculty at Sci-Arc, and has lectured extensively in the US, Europe and Asia. The office received the AIA LA Presidential Awards for Emerging Practice as well as the Emerging Voices Award from the Architectural League in 2012. They published the book, Pendulum Plane, in 2009, and are working on their latest publication, Trilogy, which will be coming out in 2014. Sean Ahlquist is an Assistant Professor at the University of Michigan Taubman College of Architecture and Urban Planning developing research on the topic of Material Computation and co-directing the Master of Science in Material Systems program. He is a part of the Cluster in Computational Media and Interactive Systems which connects Architecture with the fields of Material Science, Computer Science, Art & Design and Music. Currently, Ahlquist is completing his Doctorate (Dr.Ing) at the University of Stuttgart Institute for Computational Design (expected winter 2014). 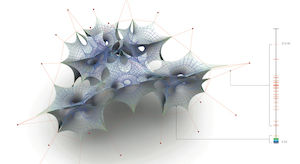 Ahlquist's research formulates computational design frameworks which place materiality as an a priori agent in the organization of architectural systems and their spatial tectonics. 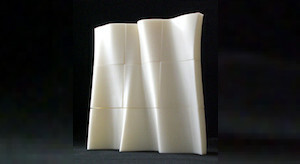 Active research involves the development of advanced textiles for spatially articulated lightweight structures and topologically complex composite materials, in collaboration with experts in the fields of machine knitting, aerospace engineering and computer science.